The award is presented at the district dinner. If the recipient is not able to attend the dinner, the award will be presented to the recipient as soon as possible. Please remember this nomination is confidential, and to avoid any disappointment, please do not advise your nominee in any way of your action on their behalf. 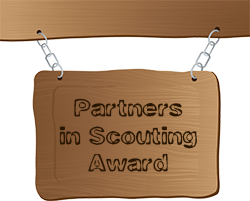 Briefly describe your reason for nominating this partner.